R is the standard rotor for Q16. Other options can be made under study. 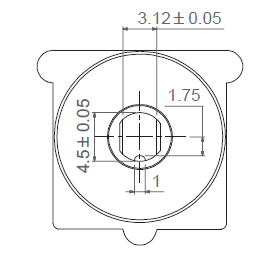 This drawing shows the rotor at 50% position in order to better depict the dimensions and tolerances, it is not a valid delivery option of the 16 position version.